Go Abroad Consultants is the best study visa consultants in Chandigarh and have settled countless students and people in Canada, Australia, New Zealand, Germany, UK, Europe and many other countries which makes us the best Immigration Consultants in Chandigarh. Founded by Mr. Puneet Chopra, a dignified personality in the Immigration Industry with over 10 years of rich experience in visa and immigration consulting, we have been exponentially growing while offering a plethora of visa and immigration services in Chandigarh. A renowned visa and immigration consultants in Chandigarh for providing top-notch counseling for Study visa, Tourist visa, Permanent Residence around the globe. We have set our foot in the Immigration Industry owing to our fastest and transparent services to our clients and have been recognized as one of the most eminent Study Visa Consultants in Chandigarh. Our experts have constantly been offering the quality and reliable counseling to individuals seeking guidance and assistance for visa matters or immigration services from past 10 years. We are thankful to all our clients for placing their trust and confidence in us for guiding and assisting them in their life-changing decision. We will also take an opportunity to appreciate all our stakeholders for their efforts and cooperation that helped us gain prominence in the industry. Got recognition in Study Visa and Immigration Industry due to top professional consulting to its clients with the major focus on giving insights of visa procedure and immigration formalities. We are the leading study visa consultants in Chandigarh who believe in maintaining full transparency and therefore do not hide anything from the clients throughout the whole process. We are delivering best services in the industry from last 10 years and have been offering all types of assistance in study visa and immigration to foreign countries or obtaining all types of visa. The services offered are the most economical and budget-friendly to help you achieve your dream of completing studies by obtaining study visa or permanent settlement in countries like Canada and Australia. We are a team of professionally qualified advisers who offer in-depth knowledge of the complete processing system. Our strong belief in ethics has earned us the global reputation in the immigration profession and also helped us to become one of the leading firms in the industry. Right from filling of form to the collection of passport, our immigration consultants maintain a professional approach that ensures hassle-free service. More than just getting Visa, We at GAC, a Chandigarh based Study Visa and Immigration Consultants, helps our clients at every stage of the intricate process by giving quality guidance to the aspirants. Our immigration consultants provide the best possible solutions to the aspirants and at the same time ensures full transparency by not concealing any major and relevant information from the client. If you are keen to obtain a visa or immigrate to a foreign country, we offer thorough consultation to help you in knowing your eligibility for your desired destination. My first meeting with GAC cleared all of my doubts and tensions. I am thankful to GAC for offering their valuable guidance and information which proved very helpful in obtaining my visa. I would say Go Abroad consultants is the best immigration consultants in Chandigarh. I usually do not prefer believing what the visa consultants all promise to deliver. But in my very first meeting, I had a strong feeling that GAC will keep its promises for which I decided to avail their services. I am glad that I placed trust in them. I really appreciate their work ethics and professionalism they have maintained which sometimes seems to be just a formality in some firms. I believe their serious concerns about getting the client’s queries solved and making complicate visa process easier have made them the best immigration consultants in Chandigarh. I would like to express my gratitude to the best study visa consultants in Chandigarh. My all concerns and queries were addressed properly. The whole staff was co-operative. The counselors were very professional, experienced and demonstrated complete patience while clarifying all my doubts. I am very thankful for your guidance, timely service and also for everything you did to get study visa in my hand. Just a few words to say thank you so much for your valuable help in gaining my study visa. Your honest guidance throughout my study visa process was commendable and I am very much contented with your services. GAC proved to be a big support to me and is for sure the best study visa consultants in Chandigarh. My special thanks to Puneet Sir and the whole staff of GAC for being very supportive and helping me in gaining my visa. Had I not availed your services, I would have never been able to study in Australia. You are truly the best visa consultants in Chandigarh, in my opinion. Also thanks once again for your genuine advice in opting the right university for my course. I wish good luck to the entire team of Go Abroad Consultants. Go abroad consultants is the best visa consultants in Chandigarh. One thing that puts them one level above than other visa consultants is Puneet Sir. Puneet Sir is very honest and reliable person and you can totally rely on him. Best Visa Consultants in Chandigarh! They are the best visa consultants in Chandigarh. One of my friends had recommended Go abroad consultants. I am glad that I met Puneet Sir who is so concerned with the needs of students. The help and guidance I received from him is something I will never forget. It gives me immense pleasure to introduce myself Puneet Chopra, a holder of Master degree in business administration from a reputed foreign University, coupled with an extensive experience of 10 years in visa and immigration industry. Having attained my master’s degree, I decided to serve Study Visa and Immigration industry to help people fulfill their dreams of pursuing their education in abroad. I take pride in announcing that I have independently counseled more than 12,000 clients and successfully processed more than 10,000 visas since GAC’s inception. In addition to study visa, at GAC, an equal emphasis has been laid on the tourist visa, spouse visa, Permanent Residency to assist people to visit, travel or settle permanently outside India. 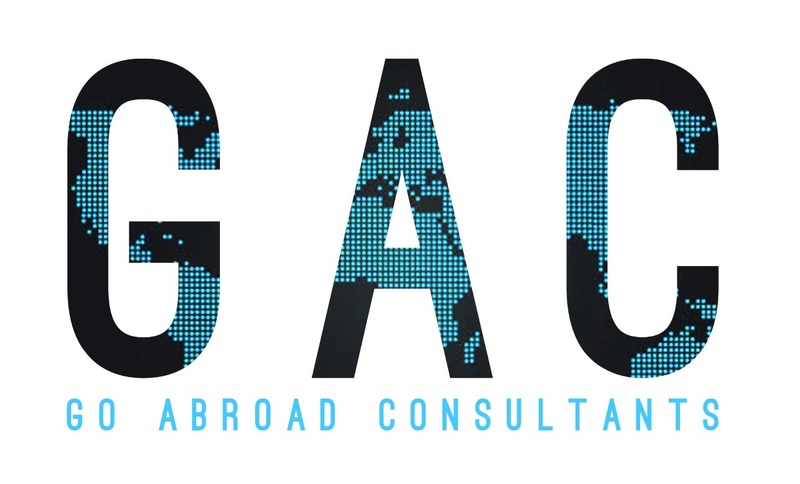 I, on behalf of GAC, take pride in offering the fastest, reliable and most transparent consulting services in the industry and thus becoming one of the most sought-after Overseas education and Study Visa and Immigration Consultants in Chandigarh. I also take pride in revealing that every individual who got in touch with us was pleased with our prompt services and honest guidance. We are recognized for our strong belief in ethics and transparent services that are in compliance with the prescribed rules and regulations which makes us best study visa consultants in Chandigarh. At the end, I would like to thanks to all for placing faith and confidence in us and supporting us in this long journey. I promise reliable and lifelong services to all the individuals seeking any type of visa or immigration services. I further assure that at GAC, you will be offered best-customized solutions keeping your best interests in mind to assist you to achieve your dreams of pursuing further education, traveling to explore the world or settling down in the foreign land.